German car tuner A.R.T. 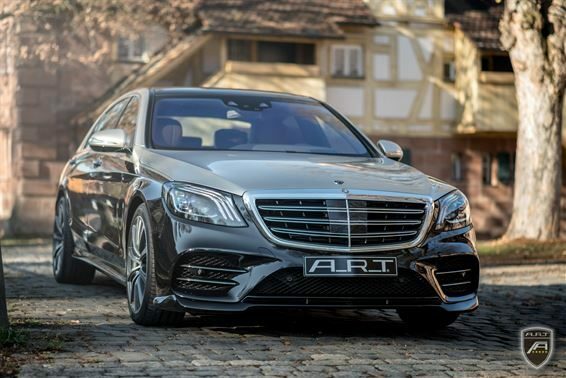 Tuning has recently released a body kit for the pre-facelift version of the Mercedes S-Class (W222) sedan. Today, we are getting more or less the same set of options for the facelifted car. The new body kit has that aura of deliberate understatement that we have come to appreciate lately. There is a front spoiler lip, another lip for the trunk lid and a rear apron extension. For an extra fee, A.R.T. Tuning will lower the suspension of your car, adorn it with its trademark badges, add a roof spoiler, and swap the stock wheels out for a set of monoART4 rims 19 to 21 inches large sporting nice branded center caps. Interior options include A.R.T. Sport pedal pads made of aluminum and branded floor mats. The car house never mentioned the pricing of their Mercedes S-Class range of accessories.